I’m Hayato Kobayashi of Yahoo! JAPAN Research. 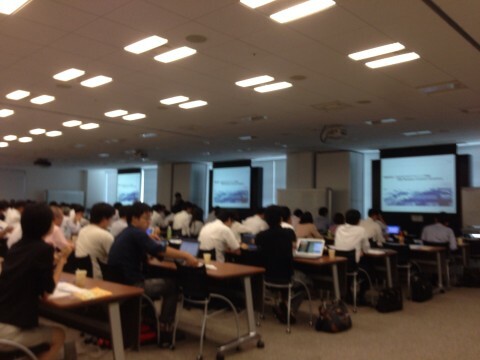 The 5th Text Mining Symposium(external site) was held on September 11-12 in the Yahoo! JAPAN seminar room. As its name indicates, this symposium was a discussion about knowledge extraction technology for text data, and Yahoo! JAPAN Research also made two presentations. This was the first time that Yahoo! JAPAN held a formal academic symposium in-house, so we were a bit inexperienced, but thanks to a lot of help from a lot of people, we welcomed 200 participants and the event was a great success. This symposium is held yearly by The Institute of Electronics, Information and Communication Engineers and NLC (Natural Language Understanding and Models of Communication)(external site). If you’re interested, please check their official website.